If you are looking for cool gift ideas for the men in your life, then check out all of the great gift ideas we found. There are neat things for those who are handy, those who love to travel or head outdoors. Whether you are shopping for your Grandpa, Dad, husband or other men in your life, there are cool gifts all the men on your list. To save our cool gift list to your Pinterest boards, press the “pin-it” button above. This is a gorgeous splurge item that the guy in your life will love! There is a reason that this tray is one of Oprah’s favorite things! The Courant Catch 3 Wireless Charging Leather Tray is made of premium pebble-grain Italian leather and includes a spacious accessories compartment. It includes a durable nylon cable and a weighted, non-slip construction. 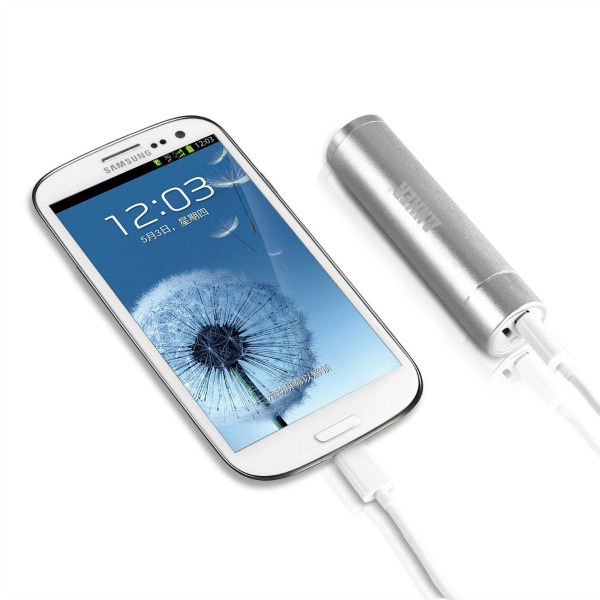 Enjoy 3-Coil Qi-Certified Fast Wireless Charging and an additional USB-A Output. It charges through most cases up to 3mm in thickness. It comes in black pebble leather, gray and a bone white. Be sure your guy’s phone is compatible with wireless charging. The X-5 charger was born from necessity and no wonder it is one of Oprah’s favorite things. Being tired of the entire family fighting for the power cable ports, we decided it was time to find a way for all car passengers to charge their USB powered devices at the same time. The X-5 USB Car Charger delivers fast charging speeds, supporting up to five devices at once. Its intelligent recognition technology identifies your device, adjusts to its capabilities, and delivers the fastest charge possible. The world of Barefoot Dreams has produced the softest jacket ever and the man in your life will love this loungewear that can become everyday wear! The luxuriously soft cozychic men’s hoodie is a great expression of taste and lifestyle. This jacket is perfect for a breezy day at the beach or about town. Made purposely for comfort, it’s the perfect addition to any man’s wardrobe. It comes in several great colors that the man in your life will love. Minimalists will love this cool Amazon Basics Felt Laptop Sleeve for Mac or PC and you will love this gift idea that is under $12! This sleeve is perfect for on-the-go without taking a larger, heavy briefcase or for stowing in your luggage for a trip. Now it can travel in sleek, protected style. You can use this sleeve as a convenient carrying case or simply as a sleeve before placing into another bag. The laptop sleeve provides a main compartment for your laptop and a second, slightly smaller front compartment for a tablet, books, pads of paper, magazines, or other similar items. It also comes with two back pockets for stashing smaller items such as a wallet, a smartphone, earbuds, or ID cards.It comes in 3 sizes for various devices. Be sure to order the correct size for the laptop! This laugh-out-loud party game uses bits of comedian Jeff Foxworthy’s material that mix and match to create wacky situations that families and friends will love! You can pick your nose, but you can’t pick your family! Everyone has at least one crazy family member. If you don’t think you do, then that means it’s YOU! In Relative Insanity, you read a setup card aloud, like: “When my brother brought out his new baby to show the family, Granny blurted out…” Then everyone else chooses one of their punch line cards to finish the phrase, like: “You are not the father!” or “Somebody took a trip to the land of bad decisions,” etc. In between laughter, the reader picks the funniest one to give that player a point! It’s a different hilarious game each time you play! Features the humor of Jeff Foxworthy. For 4 to 12 players. Whether the guy in your life is downloading GoPro videos or downloading videos of his kids’ soccer games this portable SSD is perfect for on-the-go. The rugged SanDisk Extreme Portable SSD delivers high-speed transfers with up to 550MB/s read speeds*. This makes it perfect for saving and editing hi-res photos and videos. With up to 1TB of high-speed storage for high-res photos, videos and sound files, the SanDisk Extreme Portable SSD is perfect for all of his creative pursuits. The SanDisk Extreme Portable SSD is IP55-rated, which means it’s built to withstand water and dust. It is also certified to stand up to 2-meter drops. Now the Yeti cooler has gotten even better! The Hopper BackFlip 24 fuses the durability of the Hopper Flip with a new, convenient-to-carry design. It’s our first cooler engineered to carry as a backpack, using the best tech of both worlds. Built taller and wider than its Hopper Flip counterparts, Hopper BackFlip is designed to efficiently distribute the weight of your goods, while the ergonomic shoulder straps make the journey more comfortable. Even more, a removable chest strap and waist belt are included for added stability and security. And like the rest of the Hopper family, it promises superior cold-holding, a 100% leakproof zipper, and a tough DryHide Shell. So, the guy in your life can go ahead and trek to his favorite faraway fishing destination, because this backpack cooler won’t slow him down. Bose’s new SoundLink Micro is, according the brand, is the “smallest, most rugged portable speaker” Bose has ever made. It weighs just 10 ounces and can fit in the palm of your hand. It’s fully waterproof , no matter whether it’s swimming in soapy, chlorinated or salt water, and has an integrated strap to grab onto your backpack, mountain bike or Yeti cooler. This little speaker is great for someone who is on-the-go. It has crisp, balanced sound and unmatched bass for a Bluetooth speaker its size, plays loud & clear outdoors—for beach days or camping trips. It has wireless Bluetooth pairing with up to 6 hours of play time from a rechargeable battery. The guy in your life will love these high quality The North Face Etip gloves. They are touchscreen-friendly fingertips and let you handle your phone while wearing soft, warm gloves so you’ll never miss an important call, text or status update in the cold. A suede palm panel provides the grip you need. Your guy can level up his puzzle game with Springbok’s Gamer’s Trove 1000 piece puzzle. This puzzle features retro gaming favorites from Atari, Nintendo, and Sega. Each piece in a Springbok puzzle is unique – no two are alike. Springbok puzzle pieces are 18% thicker than average jigsaw puzzles. Their precision-made interlocking pieces allows the puzzle to be lifted without falling apart. Springbok Puzzles have been made in the USA since 1963! If your guy has two or more Apple products like iPhone, Apple Watch, Airpods and iPad, then this Apple Charging Station will keep him organized and charged. This stand is constructed of premium polished aluminum alloy. The non-slip pad on the bottom enhances the stability of the whole unit. The anti-scratch rubber and the TPU back protect your Apple Watch and iPhone from scratching. This charging station does not include cables. Now your Yet Rambler comes in a array of duracoat colors! It is your go-to bottle for an afternoon hike, wetting a quick line, or solo journey that might include a detour. Made of 18/8 stainless steel, built with double-wall vacuum insulation, and always ready with the No Sweat Design, The Rambler 26 oz. Bottle is a great drinking option for your personal outdoor exploration. The leakproof threaded lid protects your truck cab or day pack from spills; complete with a 3-finger grip. Choose from an array of cool colors! These tiny fill-in the blank Knock Knock Books are such a personal gift. The guy in your life will love reading every single page. There is a prompt on each page to help you express your feelings. There are books for Dads, Grandpas, one from a spouse and more. The men in your life will love getting cozy with this Sunbeam Artic Plush Velvet Heated Throw. For ultimate comfort on the couch or recliner, this heated two person Arctic plush throw provides ultra-softness and added warmth when you need to shake off those winter chills Fast. With 3 heat-settings and convenient, 3-hour auto shut-off. It is oversized and perfect for a large man or for two people to share! This cozy throw is machine washable and dryer safe. This affordable Everyday IPA Beer Making Kit is perfect for beginners. Brooklyn Brew Shop makes brewing beer at home simple, fun, and tasty with easy-to-follow videos and step-by-step instructions. Using only seasonally-inspired, real ingredients, we never include sugary malt extracts, meaning the guy in your life can brew the freshest and best-tasting beer possible. Created by published beer authors, these award-winning, all-grain kits are made in America and designed to be brewed on the stove top of any kitchen big or small. There is a kit for blondes, one for ales, wheats and more. Your guy will love this affordable and healthy microwave Popco Popcorn Popper. It is made of food-grade silicone microwave popcorn popper bowl with LID and convenient built in HANDLES to easily remove it from the microwave. The bowl is uniquely designed to spread the heat evenly so you will get delicious popcorn with very few if any unpopped kernels. 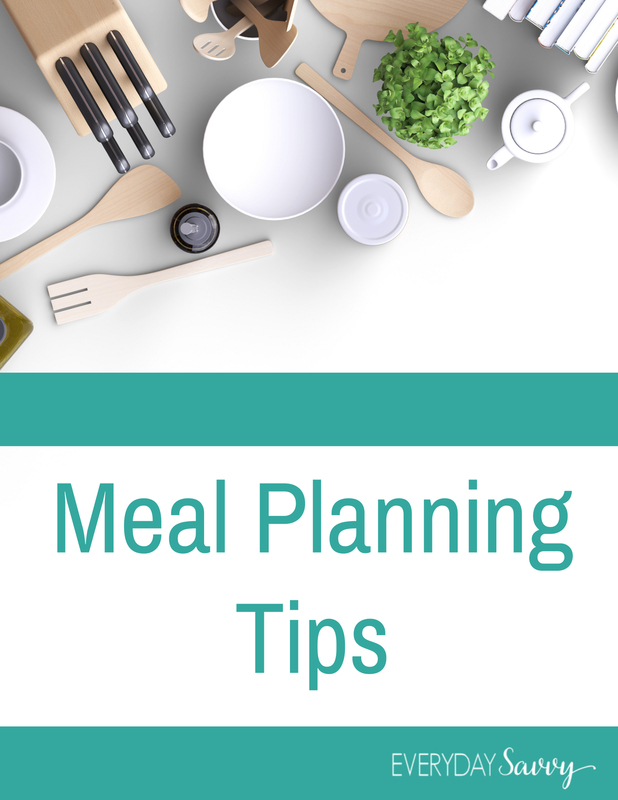 Just pour popcorn kernels to the bowl, add oil, salt and flavorings according to your taste and put it in the microwave! POPCO big-size bowl can hold up to 15 cups of popcorn so you can make crisp tasty popcorn for all your family and friends in just few minutes! This popper collapses to make it compact for easy storage. This makes a great affordable gift idea for men. We all have things we’d like to do—one day—but work, family, school, money, and responsibilities get in the way. This invaluable guide to fun, fantastic, and life-affirming activities features an eclectic range of ideas such as self-improvement, sports-related endeavors, natural wonders, cultural experiences, culinary delights, and more. From glassblowing in the Czech Republic to swimming with dolphins in New Zealand, The Bucket List is the perfect gift for the passionate traveler—an around-the-world, continent-by-continent listing of beaches, museums, monuments, islands, inns, restaurants, mountains, and more. The Bucket List: 1000 Adventures Big & Small is a nice gift idea for adventurous men who love new experiences. If you have never tried smoked meat, boy are you missing out! This Weber Smokey Mountain Meat Smoker works flawlessly and it is easy to use and clean up. You will love enjoying that authentic smokehouse flavor at home. This cool smoker comes in three different sizes and it is made of porcelain-enameled steel and a heat-resistant handle. A durable, built-in lid thermometer allows you to easily monitor your smoker’s temperature. Emergencies happen and this solar-powered phone and device charger with a light is a great little gadget for your adventurous men to have around. These chargers are great for outdoor use and camping. It is dust-proof and waterproof and comes with a carabiner clip to easily attach to a bag or backpack. These are great for camping or if you are in an emergency situation like a hurricane or earthquake. Be sure your device is compatible with this charger. If your guy loves to surf his tablet in bed or on the couch, they need one of these cool, Tablift Tablet Stands. The Tablift is a unique universal tablet stand made for all the places normal tablet stands will not work: the bed, couch, or any uneven surface. It will hold your tablet in the ideal viewing position, even when lying completely flat, without having to rest it or balance it on your body. The Tablift works with virtually any tablet. The patented hands free design allows you to free your hands, making watching movies and videos, reading, video calls, and other activities much easier and enjoyable. The Tablift transforms your tablet experience in the places you use your tablet the most. The legs fold easily for storage. Backyard parties, camping and days at the beach will be much more fun with this cool, Spikeball. This game is great for adults, families and men love the challenge. As Seen On Shark Tank – Spikeball is a fun, active, and competitive (if you want it to be) 2 on 2 game played with rules kind of like volleyball; Enjoy outdoors, indoors, lawn, yard, beach, gym, tailgate, family get togethers, vacations, virtually anywhere and for any event. This ultra-sturdy organizer is just so handy. The guy in your life will love this quality, Starling’s organizer for their trunk, boat or camper. It expands to be 2-feet long and includes compartments for things like umbrellas, reuseable bags, jumper cables, emergency flashlights and so much more. It is made of a thick PVC mesh and a strong polyester with a waterproof gripping bottom so it will not slide around in his trunk. It also includes a lifetime warranty against breakage or defects. World travelers will appreciate this sleek RFID Blocking Genuine Leather Passport Holder Wallet. It will neatly hold his passport, a few cards and cash. The RFID blocking function keeps your credit card, debit card, passport and ID card safe from identity theft while traveling. This affordable organizer makes a great gift idea for men. If the man in your life has multiple devices, he will love this quick-charging foldable plug. The Anker PowerPort 4 includes PowerIQ and VoltageBoost technology to ensure the fastest and safest possible charge for your devices. The PowerPort 4 includes surge protection, temperature control and more advanced safety features keep you and your devices safe, plus it was awarded the US Department of Energy’s highest possible energy efficiency rating. It only takes up one wall plug and comes in both black and white. What a practical gift idea for men. This cool Beer Soap 6-Pack by Swag Brewery makes a great gift for your favorite beer drinker, homebrewer, or yourself! Scent Descriptions: Oatmeal Stout – Amazingly delicious beer soap that smells like oatmeal stout beer, crushed oats, honey, and milk. Since beer is rich in vitamins, minerals, antioxidants and amino acids, it is an excellent treatment for your skin! Each bar is distinctively different. Runners, hikers and outdoorsmen will love this cool Sport2People Waterproof Running Pouch Belt. This premium quality running belt allows you do not have to wear more of their valuables in their hands and worry about their safety, but they simply save it to one of it’s two pockets. It will store phones of all sizes, money and more and even has a port for headphones. This cool belt is made of waterproof material and has a specially-designed zipper prevents any ingress of water into the internal pockets. This affordable and practical fitness accessory fits waists from 28-48 inches. My husband has this awesome propane Coleman Road Trip Grill . It folds up nicely and is the ultimate grill for camping, the beach, tailgating and more. This grill is easy to transport, it folds to compact size with large handle and wheels for easy pulling and it sets up in seconds. It has a large cooking surface with two cast-iron, porcelain coated grill grates. Two side tables attach to the grill’s sides for extra preparation space and store neatly under the grill. A grease tray catches drippings, sliding out for cleaning. The grill is outfitted with an Instastart electronic ignition. The grill affixes to a standard 16.4-ounce disposable propane cylinder, or can be hooked up to a 20-pound tank with an additional accessory purchase. If the guy in your life likes to travel light, then he will love this Radix One Slim Minimalist Wallet . This affordable slim wallet is made of strong and durable polycarbonate parts. It holds 4-10 cards, plus a band for cash. If the guy in your life hates those wifi dead zones, then check out this NETGEAR Wi-Fi Range Extender . Convenient, discreet and easy to install, extended Wi-Fi coverage is just an outlet away with this essentials edition extender. Boost your Wi-Fi for mobile devices and connect a wired device such as Smart TVs or game consoles. Boost your existing network range & speed, delivering Wi-Fi up to 300Mbps. It works with any standard Wi-Fi router & is ideal for keeping his mobile devices connected as he moves throughout the house. Outdoorsy men will love these super cool Ultra Light Hammocks . This affordable and portable hammock is made of super strong woven nylon material, so you don’t have to worry about its durability and tested strength. Comes with the innovative attached stuff bag which makes it easy and convenient for storage and travel. Using the easy-to-follow directions, your guy can set this hammock up easily in the yard, at the park or at your campsite. They come in tons of fun colors. If the guy in your life is a Dad and a Star Wars fan, he will love this Star Wars I Am Your Father Darth Vader Quote T-shirt . What a fun and affordable shirt to gift to him this year. It is black and comes in sizes Small-4XL in adult sizing. These Darth Vader inspired barbecue tongs are perfect for turning your meat to the Dark Side. The tongs are shaped just like Vader’s famous weapon with a Heatproof Handle Metal Tongs Red Storage Case. They also feature classic Lightsaber sound effects so your man can rule the barbecue as well as the galaxy. So fun and practical for the Star Wars fan! Whisky and shot lovers will love this Corkcicle Whiskey Wedge Whiskey Glass . Hello whiskey. Goodbye watered down. Take the edge off with Whiskey Wedge, a more artful way to enjoy your favorite spirits; perfectly chilled, but not watered down. The Whiskey Wedge is perfect for sipping Whiskey, Bourbon, Tequila, or Scotch. It keeps your pours of whiskey or other spirits at the perfect chilled temperature without diluting it down. After freezing, the large ice forms in the shape of a wedge on one side of the glass and, similar to a glacier, melts slowly due to its mass compared to smaller ice cubes. The perfect gift for whiskey lovers and design enthusiasts, this innovative twist keeps cocktails cold from start to finish. This Pratico All-Purpose Outdoor Blanket and Stadium Blanket is perfect for that cold football game or for camping. The Pratico Outdoors Purpose Outdoor Blanket keeps you dry and warm when you need it. Each blanket is designed to protect you from wind, water, and cold and give you extra protection from the elements. This makes it a versatile blanket than can be used all year round whether outdoors or even indoors. It can be rolled or folded down small and includes carrying strap and stuff sack for easy carrying while on-the-go. This blanket comes in two sizes, small and large. My husband pointed this Nite Ize Gear Tie ProPack out to me while we were out shopping and he was saying how cool they were. These gear ties come so many handy sizes. The tiny sizes can be used for things like wrangling earbuds or computer cords and the larger sizes can be used for cords on power tools or other cords in the garage or even on the boat. They are made of a tough rubber shell that provides excellent grip virtually anywhere, but won’t scratch or mark, and a strong internal wire holds its shape. They are waterproof and safe for use in fresh or salt water without damage and they are UV resistant and will not be damaged or destroyed by extended sun exposure. What a handy gift idea for men. Now the guy in your life can stay warm at his favorite game with this NFL Jersey Scarf with a Hidden Pocket . The outside of the scarf is a fun football jersey material to help his how his team spirit. The inside is a soft material to keep your guy warm. It even has a hidden zippered pocket to hold an I.D. or money for easy access. You will score major brownie points with the kids making cool stuff at home. These highly-reviewed fun project books give detailed instructions for lots of fun projects. Many use recycled materials like markers, boxes, plus there are more complex projects too. 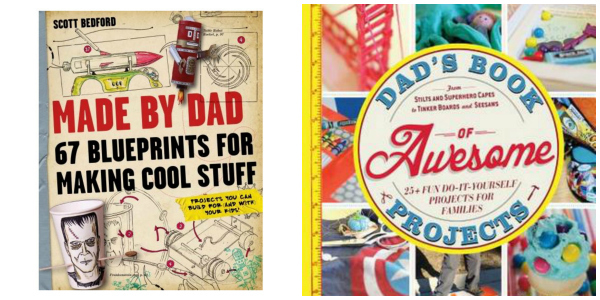 The Made by Dad and Dad’s Book of Awesome Projects books will make Dad the family hero! The SONOS PLAY:1 wireless streaming device is so popular right now. This cool streaming system connects wirelessly to your home network to stream your favorite music from iTunes or your Amazon Cloud Player library. You can control the Sonos by using the Sonos app for your smartphone or tablet. This system is a great gift for men that love their music. You can also expand your SONOS system by adding more speakers to other areas of your home. If the guy in your life is a Game of Thrones fan, he will love owning the Game of Thrones: Seasons 1-7 to watch at home. Box sets make for great binge-watching on rainy or snowy nights. My husband love his UGG slippers. I had been buying him more affordable slippers and they were wearing out so quickly. He has had his current UGG brand slippers for 3 years now and they are holding up great. UGG Australia Men’s Ascot Slippers are one of the most popular styles, but there are so many other great styles of UGG slippers for men . This Anker® Astro Mini Ultra-Compact Portable External Battery Backup Charger will give your guy’s cell phone up to 9 hours of charge, plus it comes in several colors. This would be great if the man in your life likes to hunt or fish or if he travels and can’t always get to a plug for his cell phone. What a neat little gadget for life’s little emergencies. 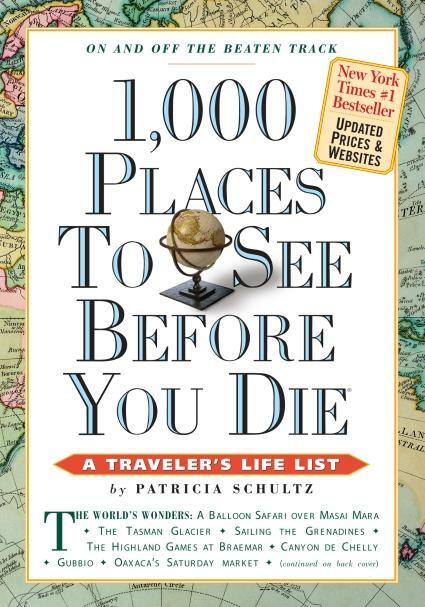 If the guy in you life loves to travel, the 1,000 Places to See Before You Die book is a great gift! It is a New York Times #1 Bestseller. There are so many cool destinations to visit and what a fun way to add places to visit to your bucket list. There are both domestic and international destinations in this cool book. If you love this list of great gifts for Men and you need more gift ideas, then check out our great gift ideas page. We will be adding more gift ideas and holiday shopping tips all month. Be sure to sign up for our free newsletter so all the updates comes right your inbox.